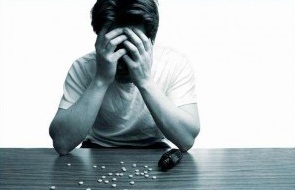 Addiction to Adderall is difficult to reverse due to the drugs life-altering side effects. But it is possible. Here’s how. My story with stimulant use began at the age of 18. I was introduced to a herbal dietary supplement named ephedrine which is a stimulant with amphetamine-like properties. The minute I decided to use this substance is the day my life would change forever. Within an hour of using ephedrine my mind, body and perception of life were completely altered. I began to feel this sudden rush of euphoria, invincibility, and superhuman strength. You see that time in my life I was struggling with weight and depression constantly being critical of myself and very self-conscious. I wanted to fit in be the cool kid that every girl liked. It seemed like ephedrine would be the answer to all my problems however after all that was said and done that wasn’t the case. I didn’t realize the consequences that would lie ahead of me in the years ahead. Initially, it was great; the depression went away weight dropped rapidly & life was great. Everything I had ever wanted in life was becoming a reality. However, I couldn’t have prepared for what was yet to come. Dunno about you, but back when I was abusing Adderall, I often had the feeling that something was off about my life. That I wasn’t really being my true self. Now that I look back on it, the signs were clear that not only did my body want me to quit Adderall, my inner self wanted me to, as well. Do you share any of my Adderall addiction symptoms listed below? If so, you may want to think about quitting Adderall for good.